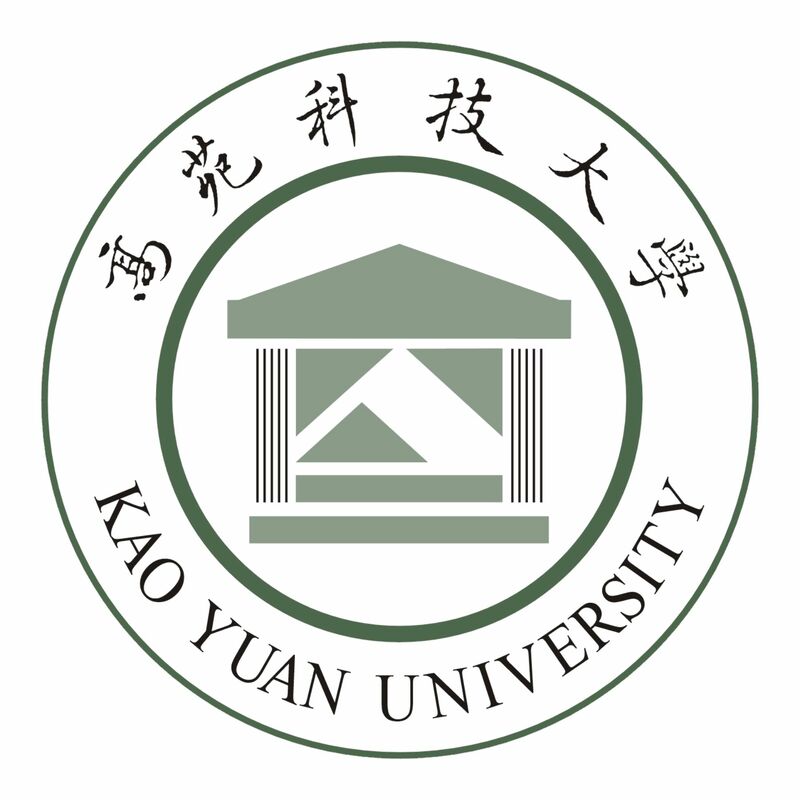 This is a project inspired by the concept of Design Visibility with the primary purpose to allow the users to clearly observe the operations of the air cleaner and replace the filter in a timely manner in order to maintain the air quality in the room. 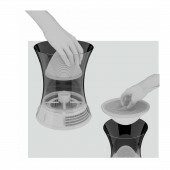 Air Clarity presents an unique quality: it keeps the dust within its body, allowing users to precisely see the accumulation and decide whether or not it is time to switch the filter. The biggest advantage of this project is its ability to capture all the dust that accumulated inside the air cleaner, preventing it from circulating back into the air again. Furthermore, the clear glass cover can provide a sense of refreshment as well. The operation of Air Clarity is very easy: turn on the power and it will run. The air is sucked in from the top, and the dust that is apparent to the naked eyes is filtered out after going through pre-filter. The air then enters the interior of Air Clarity and undergoes a second filter, the true-HEPA filter. Lastly, the clean air is discharged from the base. Air Clarity’s clear cover is made with tempered glass, while the base is Die-casting with aluminum alloy. The lid, on the other hand, is made with taulman-618. 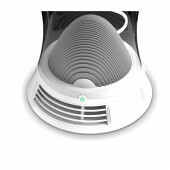 air cleaner, Design Visibility, tempered glass, indoor air quality. The design has simulated the fluency of air flow via COMSOL and avoided neglected areas that might have accumulated dust. During the construction, we had to find out how to show the users that Air Clarity has collected dust without making it look filthy. So, the dust that is filtered out during the first stage can only be seen at a certain angle. The filter cartridge of true-HEPA, on the other hand, makes its appearance through color contrast. 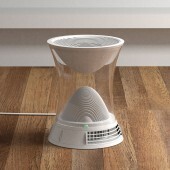 Air Clarity Air Cleaner by Chang-Yu Pan is a Nominee in Home Appliances Design Category. 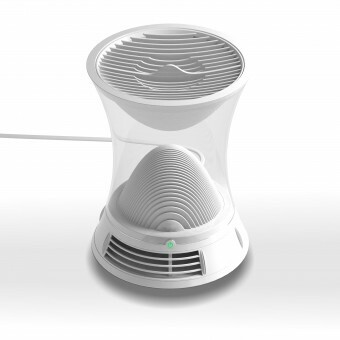 Air Clarity Air Cleaner by Chang-Yu Pan is Winner in Home Appliances Design Category, 2014 - 2015. Did you like Chang-Yu Pan's Appliance Design? 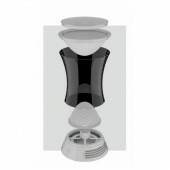 Did you like Air Clarity Air Cleaner? Help us create a global awareness for good appliance design worldwide. Show your support for Chang-Yu Pan, the creator of great appliance design by gifting them a nomination ticket so that we could promote more of their great appliance designs.